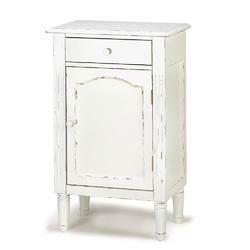 Simple lines and a creamy hand-distressed finish give this wonderful wooden cabinet the heirloom look of cherished vintage furnishings! 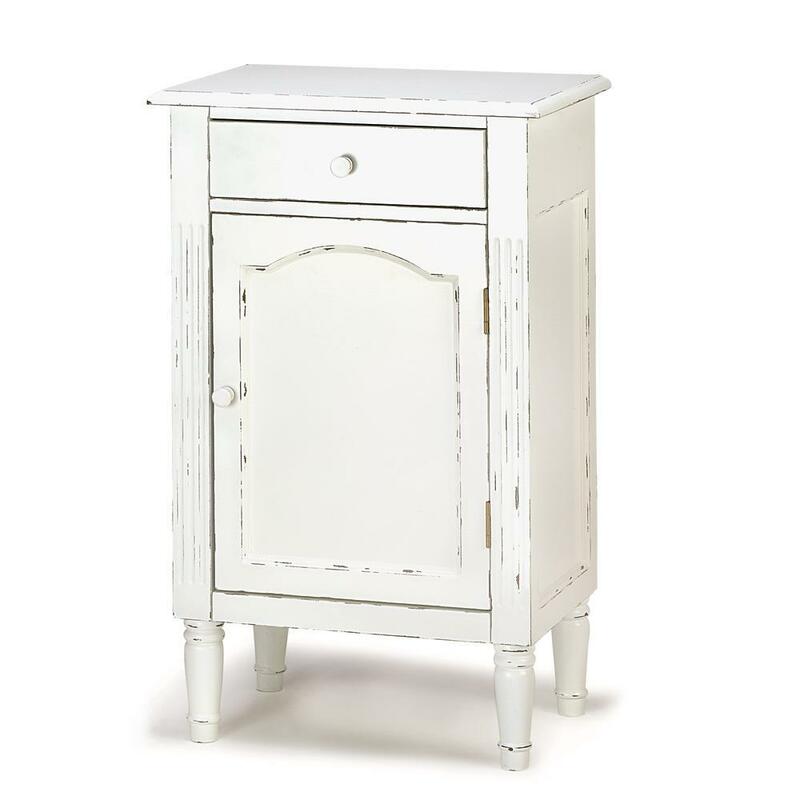 Makes an elegant bedside nightstand, a handsome cabinet for any bath, or use your imagination to add stylish storage most anywhere in your home! Weight	22 pounds. 18" x 12.5" x 29". MDF Wood. UPC Number:849179004859.